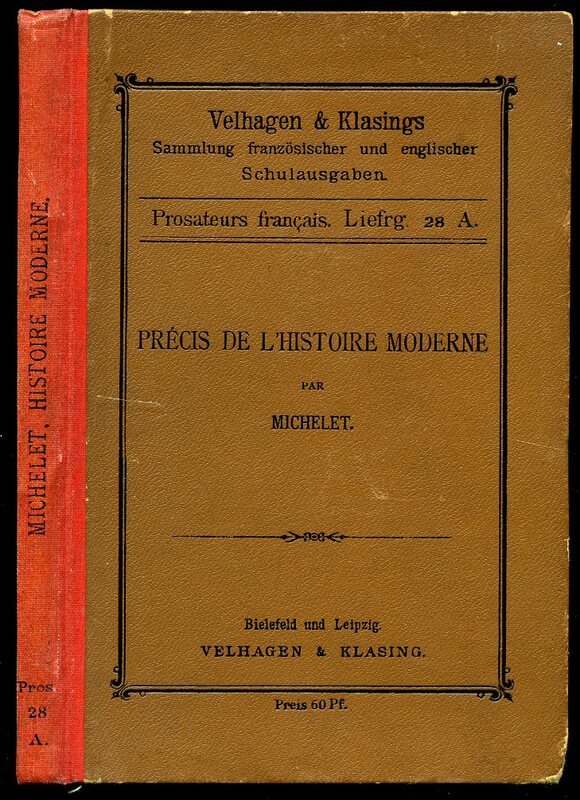 Published by Bielefeld und Leipzig Velhagen & Klasing 1884. 1884. Hard back binding in publisher's original camel brown covers, black title and author lettering to the red cloth spine, black lettering to the upper panel. 8vo. 6½'' x 4½''. Contains 116 printed pages of text. Couple of under linings, only light rubbing to the lower corners and in Very Good clean condition. Member of the P.B.F.A. 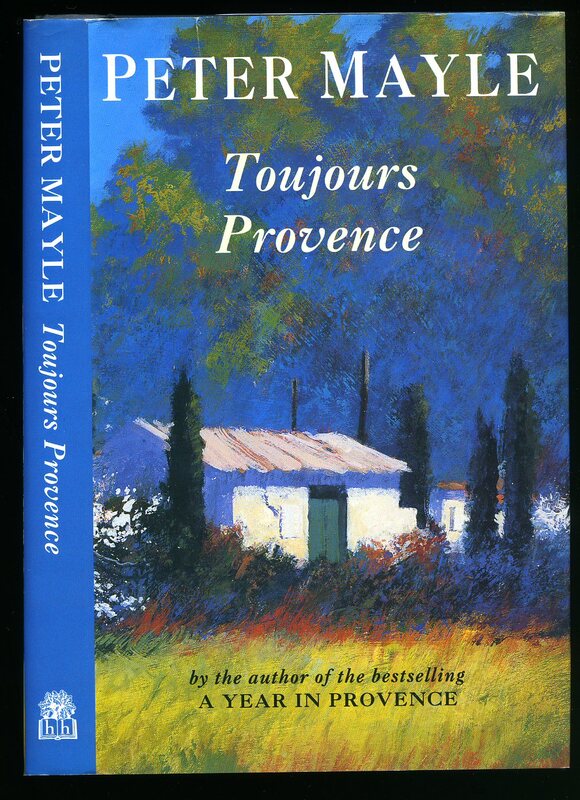 Published by Groupe M. J. C. Conflans A Travers Les Ages, France, 1988. 1988. First edition hard back binding in publisher's original colour photographic glazed boards. Landscape 8vo. 7'' x 9''. Contains 130 pages of archive monochrome photographs with detailed French text to each. Small tears to the inside front gutter and in very Good condition, no dust wrapper as published. Member of the P.B.F.A. Published by Librairie Ch. Delagrave, 15, rue Soufflot, Paris 1898. Paris 1898. Hard back binding in contemporary half deep burgundy calf covers, gilt title and author lettering to the spine, grey cloth covered boards, marble paper end papers. 8vo. 8½'' x 5½''. 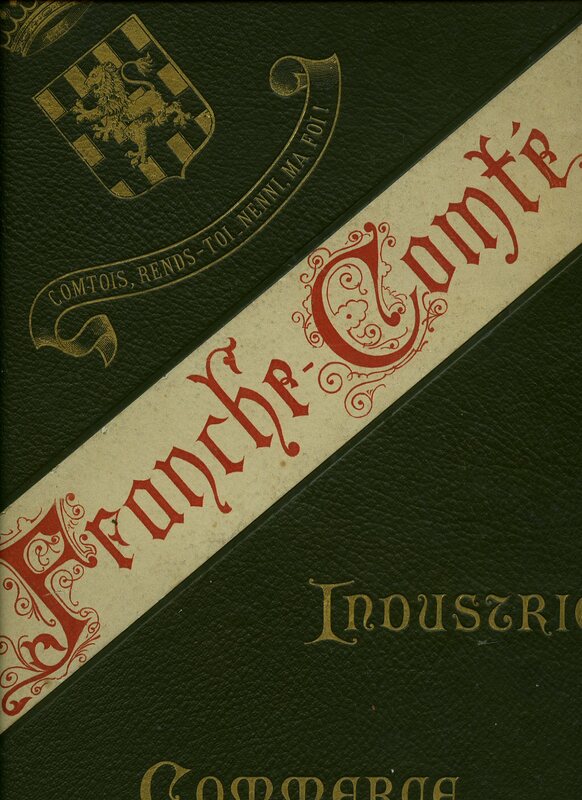 Contains [viii] 531 printed pages of French text. Light foxing to the page edges and in Very Good clean condition. Member of the P.B.F.A. 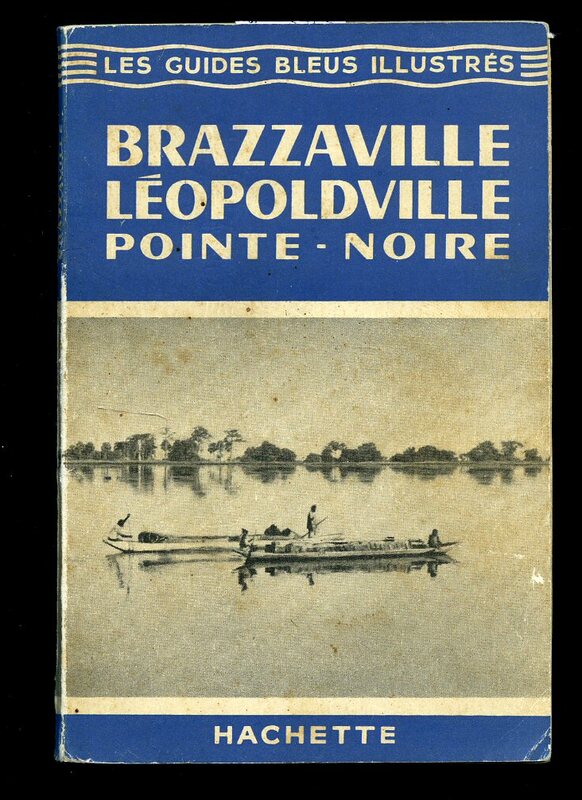 Published by Librairie Hachette, 79, Boulevard Saint-Germain, Paris 1958. Paris 1958. Publisher's original photographic blue and white card wrap covers. 8vo. 6½'' x 4¼''. 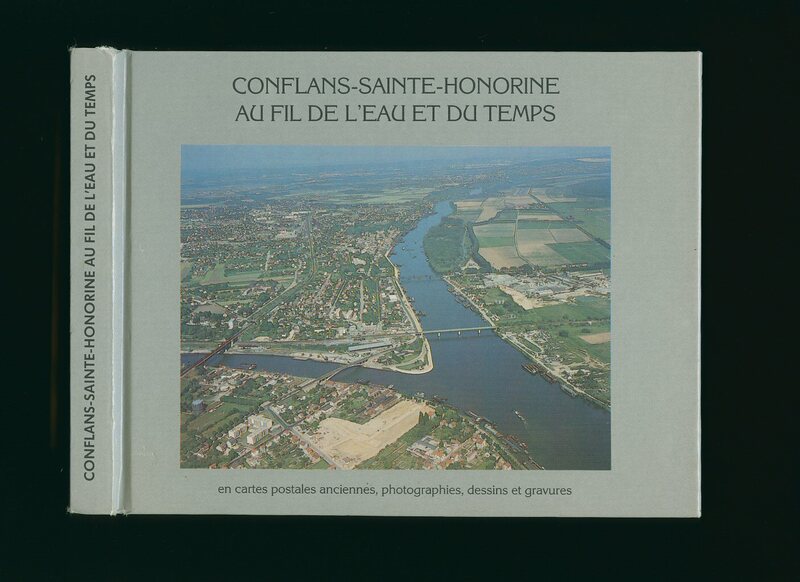 Contains 96 printed pages of French text with fold-out maps monochrome photographs throughout. Just a little foxing to the card covers, without any ownership markings and in Very Good condition, no dust wrapper as published. Member of the P.B.F.A. 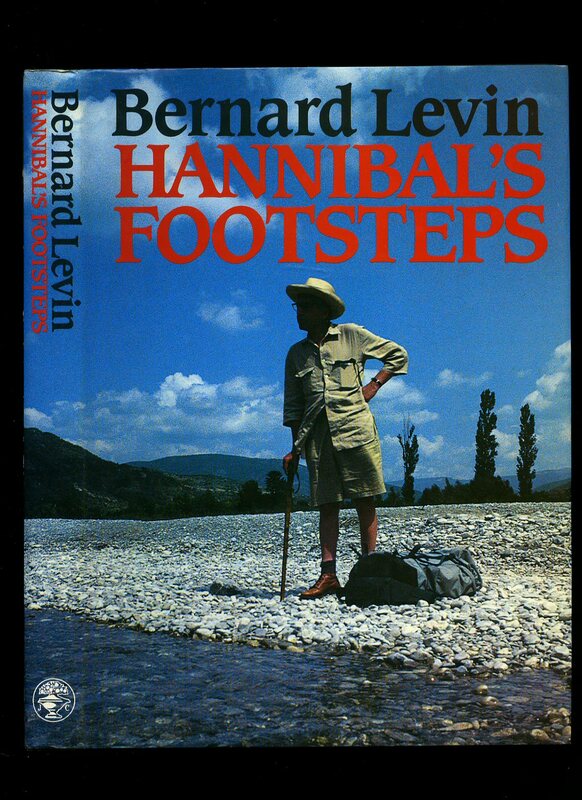 Published by Hamish Hamilton Ltd, 90 Great Russell Street, London 1991. 1991. Hard back binding in publisher's original black paper covers, silver title and author lettering to the spine. 8vo. 8½'' x 5½''. ISBN 0241128560. Contains [xvi] 213 printed pages of text with monochrome illustrations throughout. Without any ownership markings. Fine condition book, in Fine condition dust wrapper, not price clipped. Dust wrapper supplied in archive acetate film protection, this protects and prolongs the life of the paper, it is not adhered to the book or to the dust wrapper. We currently hold in stock 5 other titles by this author. Member of the P.B.F.A. Published by Hodder and Stoughton Limited, London First edition 1948. 1948. First edition hard back binding in publisher's original cloth covers, lettering to spine. 8vo. Very Good in Very Good dust wrapper with small rubs and short closed nicks to spine tips, not price clipped. Dust wrapper supplied in archival acetate film protection. Member of the P.B.F.A. 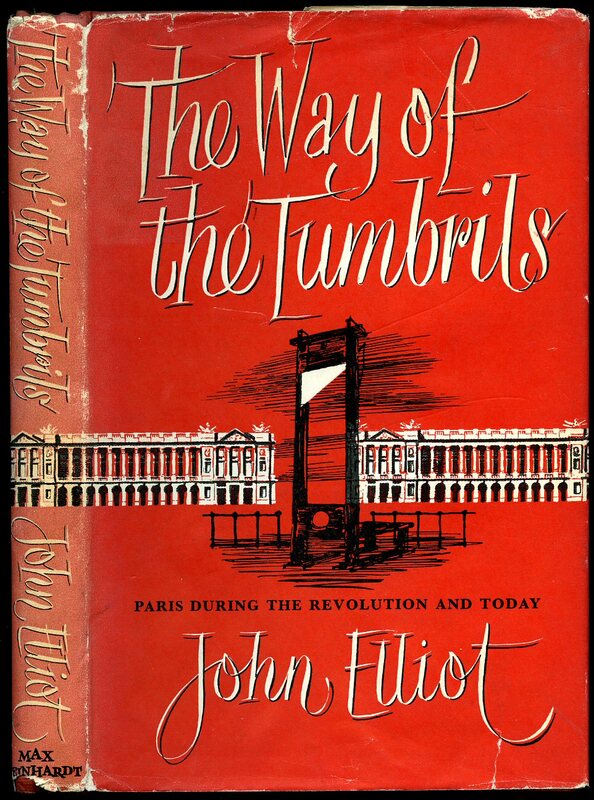 Published by Max Reinhardt, London First edition 1958. 1958. 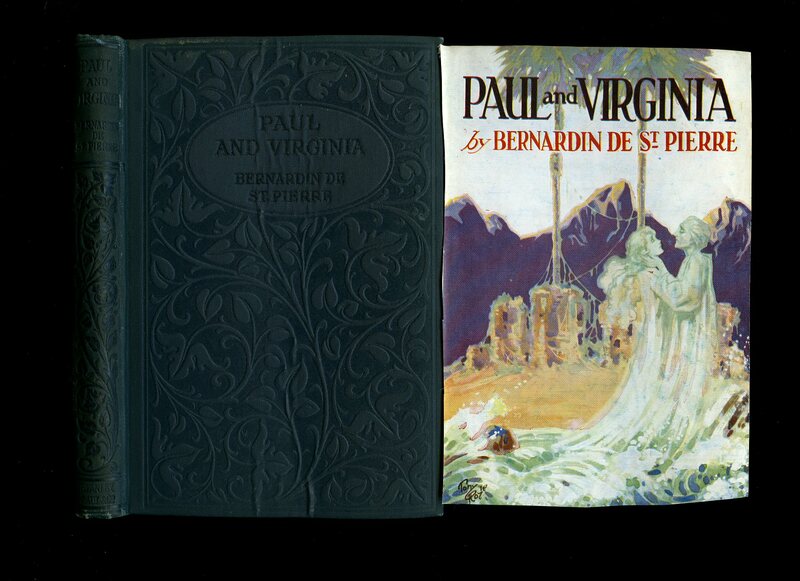 First edition hard back orange covers with gilt titles. 180 pp. Illustrated by Peter Roberson. Book in Fine condition. Dust wrapper with two 10 mm closed tears to front panel, surface rubs to spine ends, 20 mm closed tear to rear panel, red spine slightly faded, not price clipped. Member of the P.B.F.A. Published by Stanley Paul & Co. Ltd., 178-202 Great Portland Street, London circa 1930. London circa 1930. Hard back binding in publisher's original dark green blind tooled cloth covers, black title and author lettering to the spine and to the upper panel. 8vo. 7½'' x 5¼''. Contains 182 printed pages of text with monochrome frontispiece. Shallow rubs to the spine ends and corners, period art work dust wrapper cover adhered to the recto of the half-title page, age darkened closed page edges and in Very Good condition, no dust wrapper. Member of the P.B.F.A. 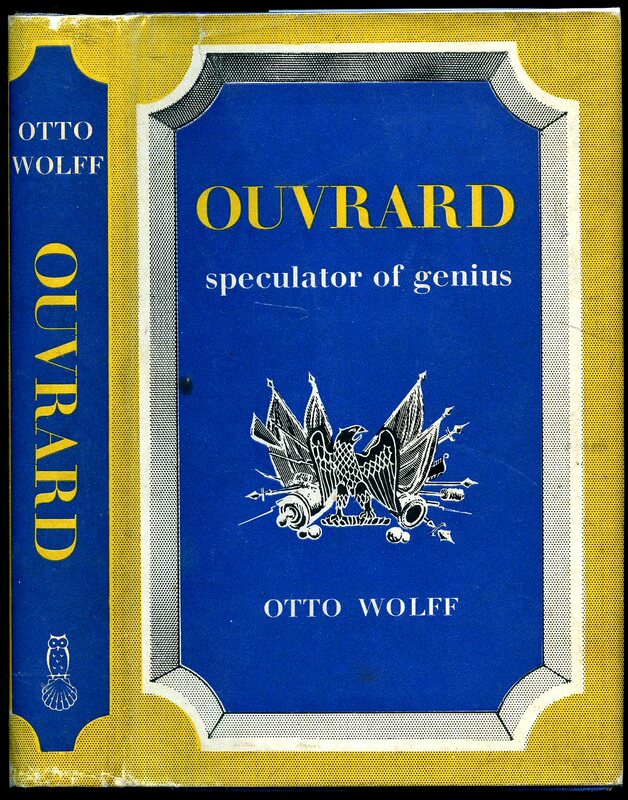 Wolff, Otto [Translated by Stewart Thomson] With an Introduction and Notes by T. A. B. Corley [Gabriel-Julien Ouvrard was a French financier who was born in Moulins d'Antières at Cugand (Vendée) on 11 October 1770 and who died in London in October 1846]. Published by Barrie and Rockliff, London First edition 1962. 1962. First edition hard back vivid blue cloth covers with gilt titles to spine. 239 pp. Illustrated. A financial manipulator of breathtaking audacity, Gabriel Ouvrard played an important part in the economic affairs of France through the Revolution, the Directory, the Napoleonic Empire, and up to the reign of Louis XVIII. Responsible for the settlement of French debts after Waterloo, Ouvard financed empires, while Napoleon conquered them. Small rust spot to front panel and in near Fine condition, dust wrapper with two 10 mm closed tears to front panel, 15 mm closed tear to foot of spine edge, price clipped and in Very Good condition. Member of the P.B.F.A. Published by Frederick Muller Ltd., 29 Great James Street, London First Edition 1946. 1946. First edition hard back pale blue cloth covers with scarlet titles. 210 pp. Book in Very Good condition. Dust wrapper with 8 mm closed nick to top upper panel, not faded or price clipped and in fresh bright condition. Member of the P.B.F.A. 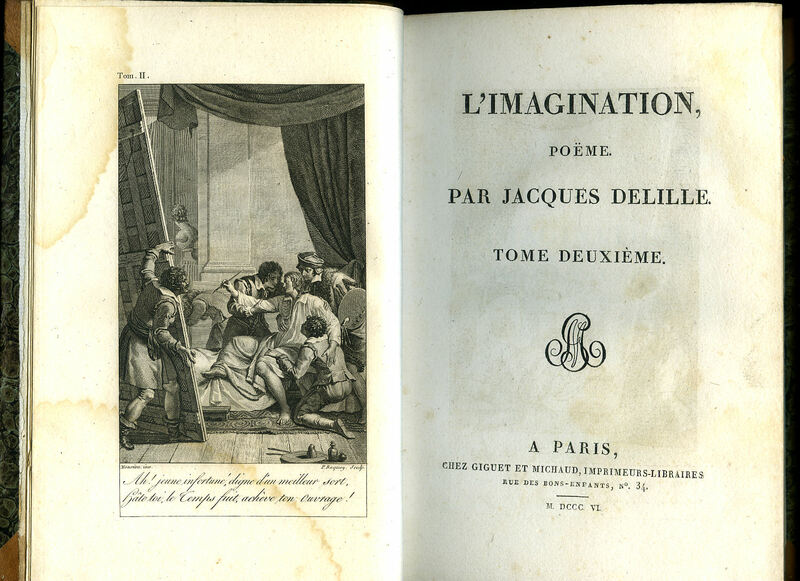 Delille, Jacques [J. Esménard] Jacques Delille (22 June 1738 - 1 May 1813) was a French poet, freemason and translator. He was born at Aigueperse in Auvergne and died in Paris. 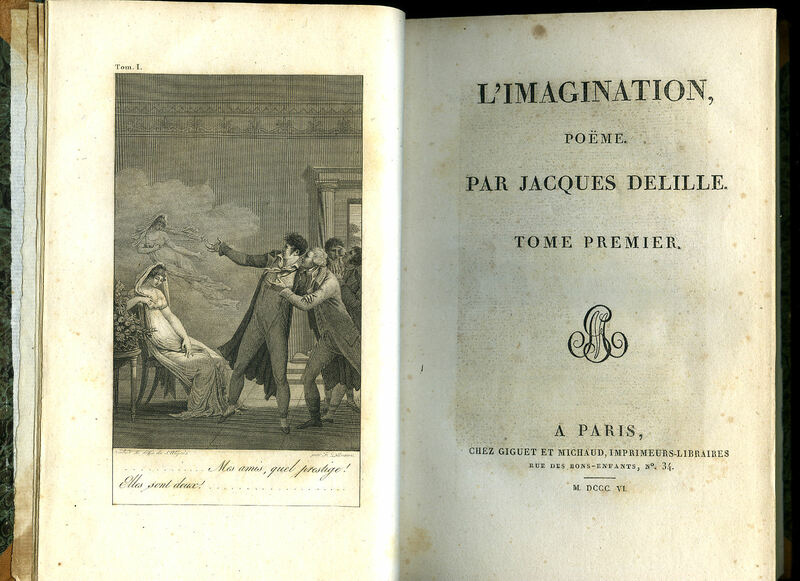 Published by Giguet et Michaud, Rue des Bons-Enfants, N° 34, Paris, First Edition 1806. 1806. 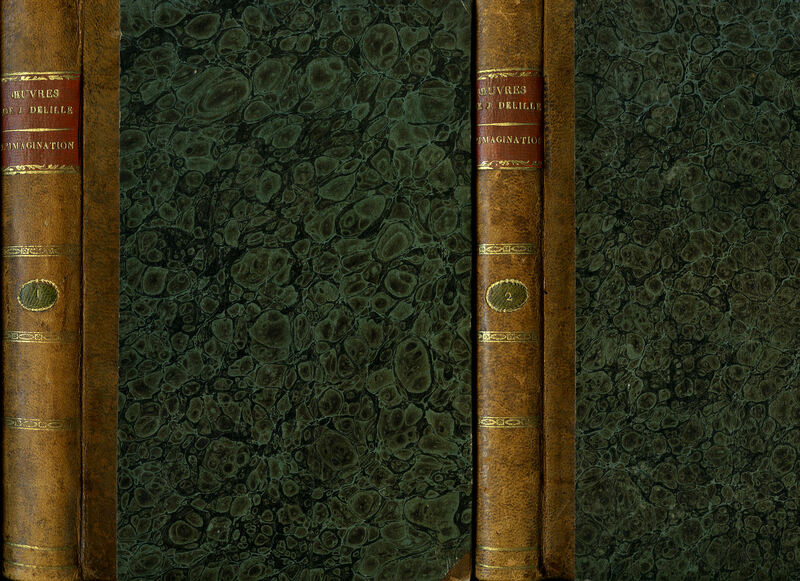 Uniform matching first edition hard back binding in original quarter leather, green marble covers, gilt and red title and author lettering labels to the spines. 8vo. 9'' x 6''. Contains [lxii] 270; 283 (+ errata) printed pages of text with illustrated monochrome frontispiece to each volume. Just a little bleeding from the leather corners to the end papers, text block clean and bright, spines slightly sun faded and in Very Good condition. Member of the P.B.F.A. Published by Harper & Row, Publishers New York First Edition 1968. New York 1968. First edition hard back publisher's original black cloth covers, gilt stamping. 8vo 8" x 5" x, 304 pp. 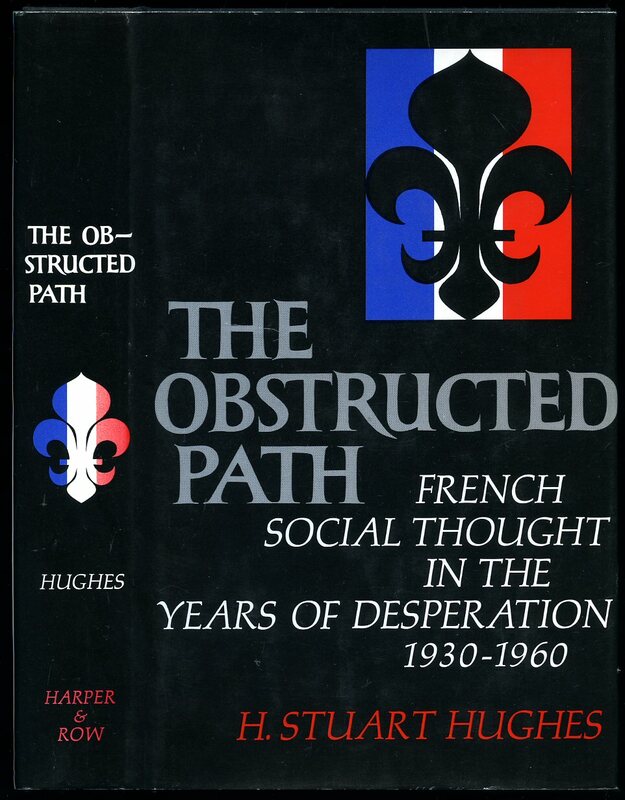 The years of political and social despair in France-from the great depression through the Nazi occupation, Resistance, and liberation, to the Algerian War-forced French intellectuals to rethink the values of their culture. Fine in Fine dust wrapper, not price clipped. Dust wrapper protected. Member of the P.B.F.A. Published Les Éditions Albin Michel, Paris, 1935. 1935. First edition in publisher's original colour illustrated card wrap covers [softback]. Landscape 8½'' x 12''. 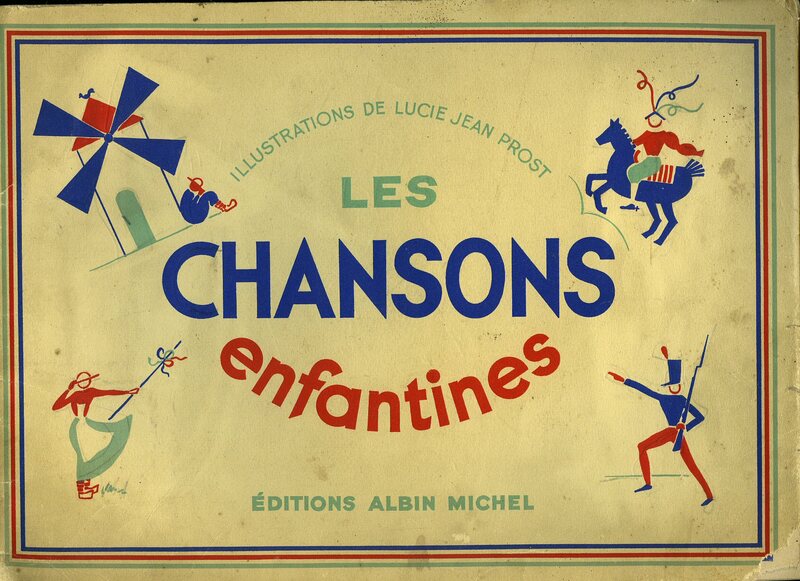 Attractive French Art Deco style book with 16 songs over 32 pages, each with the music, words and illustrations printed in blue, green and red. Bottom corner of the front cover and first couple of pages with small nibbles, staples starting to rust, text block clean and without any markings, and overall in Very Good condition, no dust wrapper as issued. Member of the P.B.F.A. Imprimerie et Phototypier Delagrange-Louys a Besancon 1894. 1894. 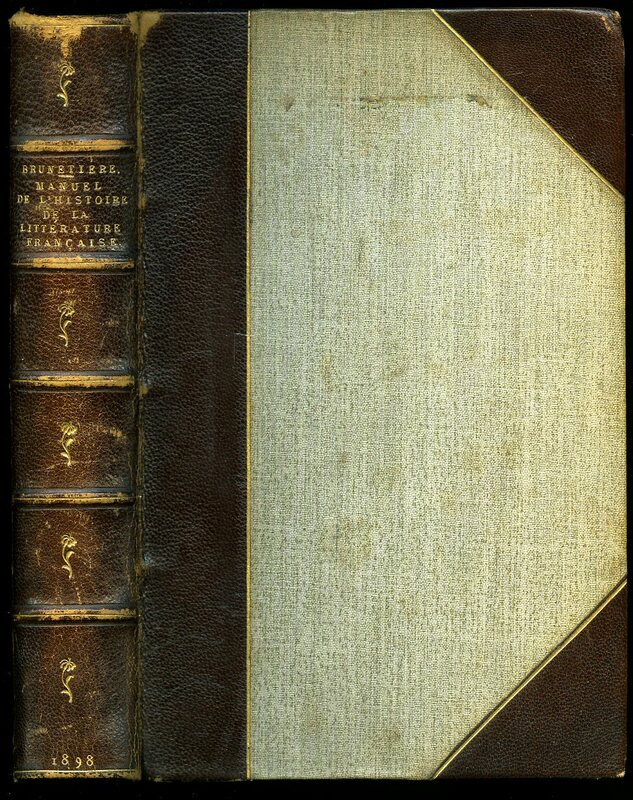 Hard back binding in publisher's original crocodile skin effect dark green cloth covers, gilt title lettering and cream and red lettering cross band to the upper panel. Elephant folio 16'' x 12''. Contains 161 printed pages of text followed by 9 pages of photographic advertisements on pale green card illustrating watches, cafes, Peugeot automobiles and bicycles, wines etc. Monochrome photographs throughout the book including horology time pieces. Whilst the covers are secure to the text, the front hinge is cracked, small rubs to the spine ends and corners, without any foxing and in Very Good clean condition. Member of the P.B.F.A. Published by Jonathan Cape 30 Bedford Square, London First Edition 1985. London 1985. 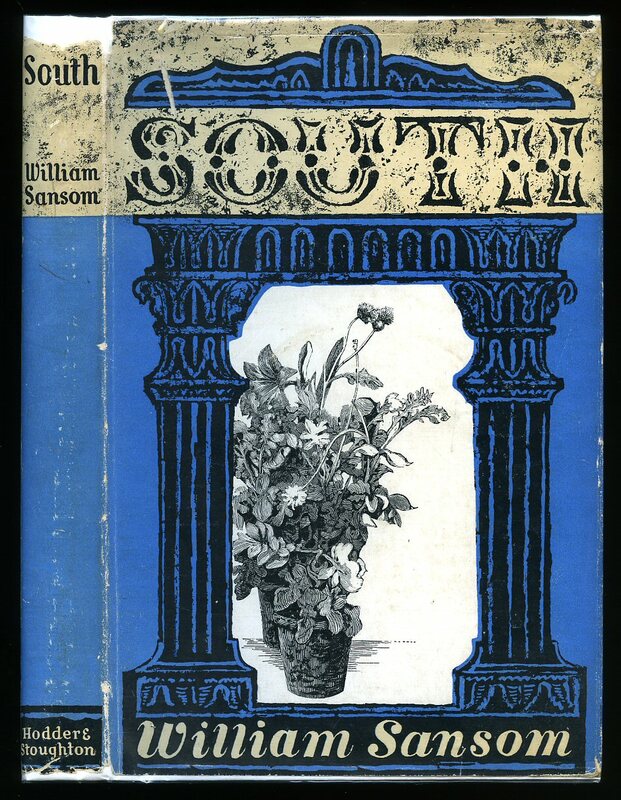 First edition hard back binding in publisher's original black cloth covers, gilt title and author lettering to the spine, illustrated end papers. Quarto. 10'' x 8''. ISBN 0224022733. Contains [xii] 174 printed pages of text with colour photographs throughout. Without any ownership markings. Fine condition book, in Fine condition price clipped dust wrapper, unused new book. Member of the P.B.F.A.